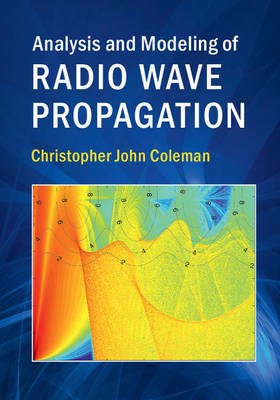 This comprehensive guide helps readers understand the theory and techniques needed to analyze and model radio wave propagation in complex environments. All of the essential topics are covered, from the fundamental concepts of radio systems, to complex propagation phenomena. These topics include diffraction, ray tracing, scattering, atmospheric ducting, ionospheric ducting, scintillation, and propagation through both urban and non-urban environments. Emphasis is placed on practical procedures, with detailed discussion of numerical and mathematical methods providing readers with the necessary skills to build their own propagation models and develop their own techniques. MATLAB functions illustrating key modeling ideas are provided online. This is an invaluable resource for anyone wanting to use propagation models to understand the performance of radio systems for navigation, radar, communications, or broadcasting.